IN A desperate attempt to save his mate's life, and stop the scourge of ice on the Fraser Coast, a man has staged a peaceful protest out the front of an alleged methamphetamine dealer's house in Pialba. 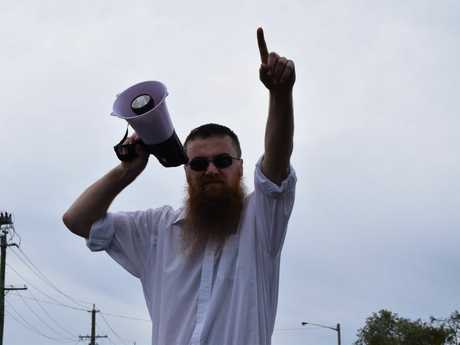 On Monday afternoon Chad Delandre used a megaphone to publicly accuse a resident of selling his friend ice, drawing a crowd from surrounding streets. Standing across the road from the accused dealer's home, Chad's message blared across the street. "I know you sell ice to my mate," Chad said through his megaphone. "Now everyone knows you are a drug dealer." Pausing to catch his breath, those who came to support Chad clapped for him, while the man inside the house yelled obscenities and denied selling the drug. The 26-year-old moved to Hervey Bay 13 years ago and said he could not stand by and watch the popular drug ice consume his community and his loved ones. "About six months ago my mate's dad died, and in his depressed state he tried ice," Chad told the Chronicle. "Now he's hooked and its turned his brain to mush, I've watched his whole life fall apart…it almost makes me cry. "I don't want to see my friend die." A small group of people who saw the post came to support Chad's cause. One man, Noel Byers, said he had also seen the effects of ice on people close to him, and wanted the whole region to support Chad's cause. "The whole town should be here," Noel said. "I was expecting to have the whole street filled with people, but I guess a lot of people are afraid of the consequences." Chad said the police were aware of his announcement. 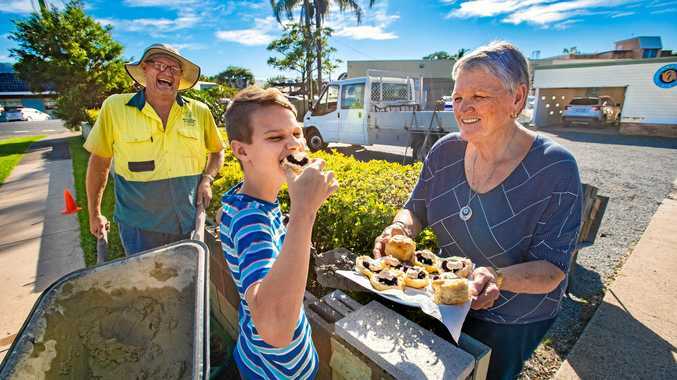 He is planning to host another one soon at a street in Maryborough. He said he had seen the drug affect people across the region. "It's like you can't go to the shops or the pub or the park without someone, off their face, trying to start a fight or even kill you," he said. "It's really changed this place." When Chad posted his plans on a community Facebook page to confront the man he believes is his friend's dealer, he received hundreds of comments in support of his protest. "I was really surprised by the response," he said.